In 2016, ISKCON Mira Road celebrated its first temple anniversary after the inauguration of the new temple in 2015 with a 3 day Kirtan mela which is now playing on 24hourkirtan.fm. 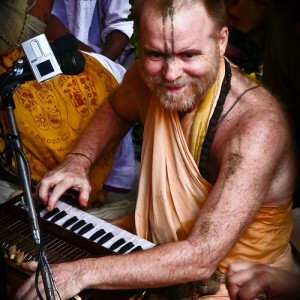 The recordings were captured from YouTube, so the audio quality is not top notch, but we liked the Kirtans so much that we tried to optimize the audio as much as possible and added them to our media archive and our advanced Kirtan playlist. You can also download them from our Kirtan store. Sri Sri Radha Giridhariji temple’s history dates back to 1986, when the deities were installed in Bhayander on the occasion of Radhasthami. 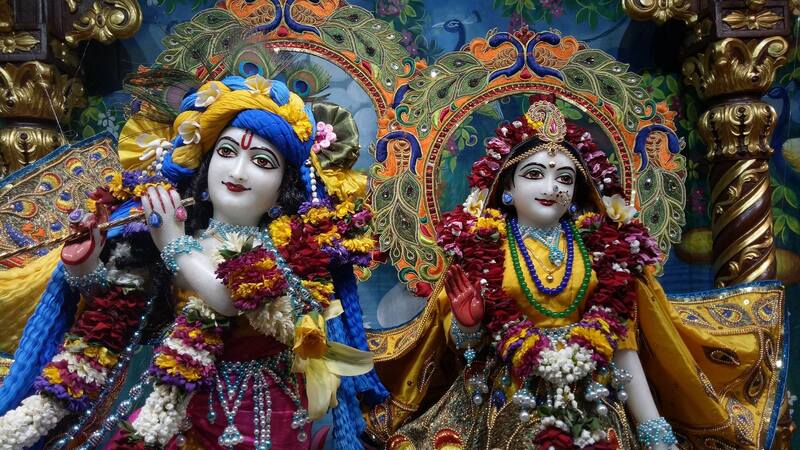 In a small flat these beautiful deities of Sri Sri Radha Girdhari were installed, with very few devotees. After the installation the devotees struggled to keep the location and had difficulties with water supply, economic support and cooperation with neighbours. But they continued their services for nearly nine years. The devotees kept searching for a new place. In 1995 a place was acquired in Mira Road, a suburb of the Mumbai Metropolitan Region. On Lord Balararna’s Appearance day Lord Jagannath, Baladeva and Srimati Subhadhara were moved from Juhu. Prior to Their move, these deities were worshipped in the travelling sankirtan bus for many years by the Juhu devotees. By the mercy of the Lord Krishna, a temporary temple was built on the new ISKCON property. 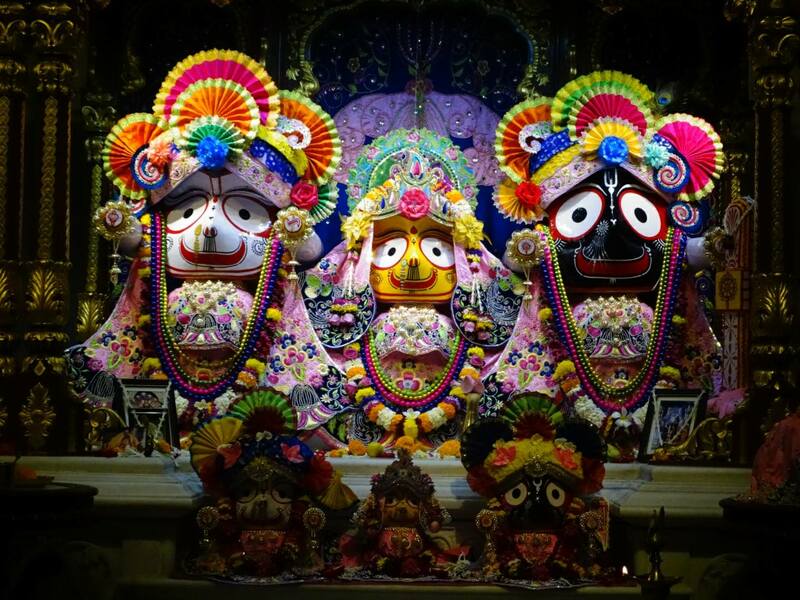 Sri Sri Jagannath, Baladeva and Subhadra were moved to this new temple. Also Sri Sri Radha Giridhariji deities were moved from Bhavander. The new temple was open to public worship on Ram Navami day in April 1996.